Noahpinion: A grand unified theory of behavioral economics? A grand unified theory of behavioral economics? Tim Harford has a great article about the backlash against behavioral economics. You should read it. I never really understood Critique #1, because maybe there just isn't a grand unified theory of economic behavior; maybe it really is just a bunch of little situational things. But #2 does indeed seem like a big problem, because if you don't have external validity, you're spinning your wheels. Now a thought occurs to me. What if Critique #2 contains the secret to answering Critique #1? Suppose that there are a whole ton of different behavioral biases, and that these vary across time, across people, and across situations so much that even with a billion lab experiments we couldn't find them all. Only once in a while will the forces be aligned to make one behavioral bias dominate; most of the time, the net effect of all the biases will be unpredictable by the outside observer. When you have an unpredictable mishmash like that, you have to model it as a stochastic process. In other words, if it's too complicated to explain deterministically, then you treat it as randomness. So what if psychology usually just ends up injecting randomness into our decisions? What would that theory look like? I think it would look like a Random Utility Model. For those who don't know, Random Utility discrete-choice models are one of economic theory's great success stories. They've been around for over forty years, they're widely used in the private sector, and they've already won a Nobel Prize for their creator, Dan McFadden (currently of UC Berkeley). In a legendary example of theoretical badassery, McFadden used the model to predict the number of people who would ride the new BART train in the San Francisco Bay Area. The government predicted that 15% of Bay Area commuters would use BART; McFadden's model predicted 6.3%. The actual number? 6.2%. A Random Utility model treats human decision-making as if it has two components - a predictable, deterministic component, and a random component. But if there are a huge jumble of behavioral effects going on, it seems to me that outside of the lab, that's usually just going to be observationally equivalent to randomness in the objective function. Which is exactly a Random Utility model. So what if Random Utility models are the grand unified theory of behavioral economics? What if the upshot of all of these psychological effects is simply that the random component of utility is partially irreducible - that there must be a random component of utility in almost any theory if that theory is going to have a chance of predicting human behavior accurately? Maybe sometimes the randomness is so negligible that people act like homo economicus, and sometimes the random part dominated so much that their decisions are completely unpredictable with science? In other words, maybe the Grand Unified Theory of Behavioral Economics was invented and validated more than 40 years ago, and we just didn't recognize it for what it was? Anyway, I'm sure someone has thought of this idea long before me, and I'm sure it won't be long before a commenter provides me with a link. But old or new, it's still a really interesting idea, which I think has the potential to answer both of the main criticisms of behavioral economics. People are risk adverse, but at the same time are subject to framing errors that may neutralize that bias. That doesn't mean the bias doesn't exist or can't be exploited, only that it may be subject to fluctuation, and even if it can't be predicted, it may be measurable and countermeasures may be taken to guard against it. What it doesn't presume is that randomness always cancels, even if may in eternity. Yes, we italians are risk avoider's, but Don Corleone and the italian's we export are risk takers. There's no grand unified theory of partial differential equations either, and I don't think anyone is rushing to say they're overrated. That whole critique has never made sense to me. Well, for a grand unified theory of PDEs, there's extension and involution. Also can be done in the notation of differential forms. Indeed, Noah. I agree completely. And when the random utility framework is extended to an environment with strategic inter-depedence, you get the QRE. Perhaps QRE is a general model that captures all behavioral phenomena in environments with strategic interaction. It also presents a simple model of how heterogeneous decision-makers interact without falling into the swamps of despair (http://noahpinionblog.blogspot.com/2013/03/the-swamp-of-dsge-despair.html). Even a small amount of noise at the individual level can aggregate up to a large divergence from Nash at the group level. One players noise affects the expected payoffs and, hence, the choice probabilities of every other player. This feeds back into the original person's payoff function and changes her choice probability again. All of this adds up to a fixed point, and the resulting divergence at the group-level can be significant. This is similar to Akerlof and Yellen's G.E. result for "near rationality" (http://isites.harvard.edu/fs/docs/icb.topic500592.files/akerlof%20yellen.pdf). As you pointed out in a recent blog post, many of the current DSGE models aren't really "GE", as they involve Nash equilibria. Perhaps there is room for DSQRE? Could make for a really interesting behavioral New Keynesian model, with endogenous price-stickiness. If you want to write this paper with me, email me! That said, most of this research is on rather simple situations, in which the choice set and environment are tightly controlled and so one might worry about external validity in this as well. The worry here is not that decisions outside of controlled environments will not be subject to randomness, which they certainly will be, but that in some cases one bias or another may predominate in a way which makes the results far from those which would be implied by something like rationality but with a noise term. The random distribution will then be centered not around a rational outcome but some other mode which one will need a separate theory to predict (maybe one of the popular behavioral theories from the existing 'bag of tricks,' maybe something new). This all gets even more complicated when people interact. So while randomness may be helpful to allow us to deal with many small conflicting influences (such as those imposed in priming experiments, where you get predictable responses to absurdly specific environmental stimuli which in real life would likely be distributed somewhat randomly), it may not be sufficient in cases where biases appear stronger or more universal, as with time preferences in the hyperbolic discounting literature. Surely there will be some heterogeneity and randomness there, but my guess is that it will not be centered around predictions that would be made by an exponential discounting model. Your discussion about McFadden is very interesting and opens up lots of possible avenues for research. As for your complaint about the complaints about behavioral ec, I don't think you are being completely fair. In The Structure of Scientific Revolutions, Kuhn pointed out that all scientific theories have anomalies. Indeed, it's the existence of anomalies that leads scientists to reject the existing paradigm and create a new theory. Consider, for example, the efficient markets hypothesis and the capital asset pricing model. These are theories that attempt to explain not all economic behavior, and certainly not a grand unified theory of economics, but one discrete phenomenon - the formation of securities prices on public markets. As it turns out, there are lots of anomalies in the real world data, variations from the results predicted by the theories. Studying these anomalies has been the key intellectual endeavor in finance for the past 30 years. That brings us to behavioral economics. Where are the anomalies in the results predicted by behavioral economics? Forget about a grand unified theory. Let's just look at one corner of the world - securities prices. Does behavioral economics provide a compelling theory about the formation of securities prices that we can test against observable data? I think the answer, so far, is no. That's the complaint. Maybe McFadden provides the missing link, I don't know, that would then be a new paradigm, as Kuhn puts it. So far, though, behavioral economics has failed to do that. The "modular mind" contribution of evolutionary psychology suggests that our minds have many competing utilities at any given time. In a macroscopic view outside of a lab, this would present as some stochastic factor. Robert Kurzban's book "Why Everyone (Else) Is a Hypocrite" discusses this theory. Under an ABM framework, it would be possible to use the competing biases discovered in lab settings into individual agents behaviors. In the observation environment, this would appear as a single random process when in fact it is many little random processes. In the modular framework, this would allow us to model the macroscopic changes in agent behavior over time as they learn — say some part of them becomes "more rational," it would narrow the distributions in the modules modules which are affected by such type of rationality. "Do I contradict myself? Then I contradict myself. I am large, I contain multitudes." Hahahaha. Very nice. I am quite a Whitman fan. Hmmm. As Editor-in-Chief of the new Review of Behavioral Economics I suppose I should put two cents in, or at least in the spirit of no grand unified theory, a bunch of scattered remarks. So, on McFadden, interestingly he is currently studying health economics from what can only be called a behavioral approach. I think looking at his random utility and the QRE extensions by various folks might be a way of linking neoclassical and behavioral. Maybe. One sign of this may be that QRE can be viewed as s subset of bounded rationality, and that was the brainchild of the real father of behavioral econ, Herbert Simon, whose Nobel Prize in 78 got quite a few people upset, and he always maintained his distance from econ due to the dominance of orthodoxy. His PhD was in in public administration (many claim it was poli sci, but not quite), and at his death he was in four departments at Carngegie-Mellon, none of them econ: computer science (he was a father of AI), psychology, cognitive science, and management. I do not know where you got your #2 point from. I do not see that in Harford's article. What I see there is him quoting various people on #1, and that would be Dan's point: where is the theory of securities prices? As it is, I do not see #2 as a problem at all in behavioral econ. Sure, there are some oddball experiments, but while psychologists do some odd ones, and also allow for lying to subjects, behavioral econ ones tend to be more garden variety, more economically oriented, and there is a ban on lying to subjects. I might add one more point: there is more than just psych and econ in behavioral econ. It is already implicit in Kahneman's point that the BIT experiments are really social psychology, not behavioral econ. Sociology is in there, but remembering Simon, so is sociology, and so is computer science and even forms of math, harking back to Simon. I shall let this sit for now. I suppose I should put two cents in, or at least in the spirit of no grand unified theory, a bunch of scattered remarks. I don't think the two are incompatible at all! I do not know where you got your #2 point from. I do not see that in Harford's article. I got it from the 2009 Levine paper that he links to. It's also something I've heard a ton. As it is, I do not see #2 as a problem at all in behavioral econ. Thanks for the source, but I guess I find this an odd complaint. What are these "extreme" cases or examples that have people like Levine upset? (I did not link to his 2009 paper). Probably a central source of the lack of unified theory is that psychology has long been known for lacking a unified theory, so even ignoring all the other stuff I pointed out as entering in, that alone is a major source of the lack of a clear unifed theory. However, I think it is probably an exaggeration to say that there is a GUT for standard neoclassical econ or for that matter to Dan, even for securities prices. Right, we have general equilibrium, which for macro turns into DSGE, with some sort of full rationality involved. But even in finance, Fama has abandoned CAPM for his three or four factor model, even if he continues to hang on to some version of EMH. I would say that what behavioral econ is supposed to do is to explain human behavior in the economic realm, pure and simple. Now one way to go at it is indeed to start with the standard approach but then to come at things empirically looking for regularities in the deviations from that, although many are annoyed with the plethora of these. But there are some that seem to hold up pretty well, even if we do not have a GUT explanation for all of them and even if they do not hold up perfectly and may change over time. This applies to hyperbolic discounting. It simply became irrefutable empirically, although there continues to be debate about the precise mathematical form that works best or most generally empirically, and I note that it was George Akerlof who resurrected research on this in his Ely lecture on "Procrastination and Obedience" from Strotz's founding of it in 1956, even if it is now Laibson everybody identifies it with. Another such finding that seems to hold up pretty widely, even if there is not a GUT why it does, is the strong empirical tendency to the downward stickiness of nominal wages. I note that in fact policymakers have deeply adopted this, with this the foundation again for Akerlof with Dickens and Perry arguing by returning to standard econ for a the micro virtue of a macro 2% inflation target, which George's wife, you know who, sold to Greenspan in 1996, from whence it went global as a general central bankers' target, with even now when that wife is now the top of them all at her first press conference after chairing an FOMC meeting a central issue being how the Fed is viewing that target: is it a ceiling or a target that could be approached from above? "Another such finding that seems to hold up pretty widely, even if there is not a GUT why it does, is the strong empirical tendency to the downward stickiness of nominal wages." FWIW, psychology will never have a "grand unified theory", and so neither will anything based on it (sociology, economics). Why? Because psychology is biology. And biology has only one grand unifying theory, and that is evolutionary theory. And the thing about evolutionary theory is that it predicts that you'll have a whole lot of idiosyncratic, random-looking jerry-rigged stuff. Which is what we see in psychology. Psychology is, like anthropology, a field perched on the impermeable membrane of social sciences and biological science. Behavioral and physical psychologists do not communicate or share any methodological paradigms. Same with the schism in anthropology. I think you misunderstand complaint #1. It's not that there's no grand unifying theory, it's that there's nothing tying behavioral together as a field. 'Labor' right now is a large umbrella, including work on education and crime. IO similarly now includes empirical work on auctions. Development is a real mish-mash. But they're united by shared methodological concerns. Behavioral, on the other hand, has nothing like this. The methodologies are all across the board, and the theory side of it is so weakly tied to the empirics (and kind of sparse itself) that it can't tie the field together either. I get the feeling you might want to celebrate this, because it lends the field a sort of anything-goes characteristic that can be very appealing (and I'm not saying that's a uniformly bad thing!). But it also makes it extremely hard to police quality, because everyone's work is so far away from everyone else's. So you have a scenario where empty-carbs papers (say, measuring some bias and then calling it a day) can still end up in the AER. Of course, there's a lot of great behavioral work, and every field has it's weak points, but behavioral seems to have an unusually high tolerance for mediocre work that leads to this criticism. Behavioral is not a "field" in the sense that labor or IO or macro of finance. It is an approach to economics as a whole that applies across these many sub-fields, although perhaps not so much to theory or econometrics, which may be the issue about the lack of a GUT. So, we have behavioral labor, behavioral IO, behavioral macro, behavioral finance, etc. As an aside, I'm pretty far away here from even talking about a 'grand unifying theory,' though--we can dismiss that as ridiculous criticism out-of-hand. I think that Noah is making a legitimate criticism of the push for behavioral work (the one that I'm noting here) look absurd by reducing it to "there's no grand unifying theory." I openly confess my perhaps not completely neutral interest based on my role with ROBE. However, I would also note that it has never been the case that behavioral economics and experimental economics were or are identical, although clearly there is a lot of overlap. Herb Simon never ran any experiments to the best of my knowledge, or at least not in the early years when he was first propounding bounded rationality. As it is, he published on the order of 1000 articles, so I do not know of all that he did. And, going the other way, there are definitely members of the Economic Science Association, the main organization for experimental economists, who would strongly deny that they are behavioral economists, contending accurately that the results of their own experiments support more conventional economic theories. Barkley, I'm a little confused as to the point of that comment. I wasn't saying that people who use experimental methods are all in the behavioral camp? Expanding on the last comment a bit, I interpreted your first reply as saying that 'behavioral economics' isn't really a strict field in the way that labor is, so one shouldn't expect the sort of field organization that we get with labor. My counter to that line of reasoning is that there's a lot of work that's purely 'behavioral,' and there's clearly some level of self-organization, so that's not a valid excuse for the lack of quality-policing. Tell me if I've misinterpreted your first reply, though. I am all for "quality-policing" if that is what is bothering you. I do not see that as being tied to whether or not behavioral econ is a "field" like labor econ or not. but what about the times when it didn't work? But the problem with behavior economics is that the field is so broad and all encompassing it's hard to know what a theory is supposed to show and prove. 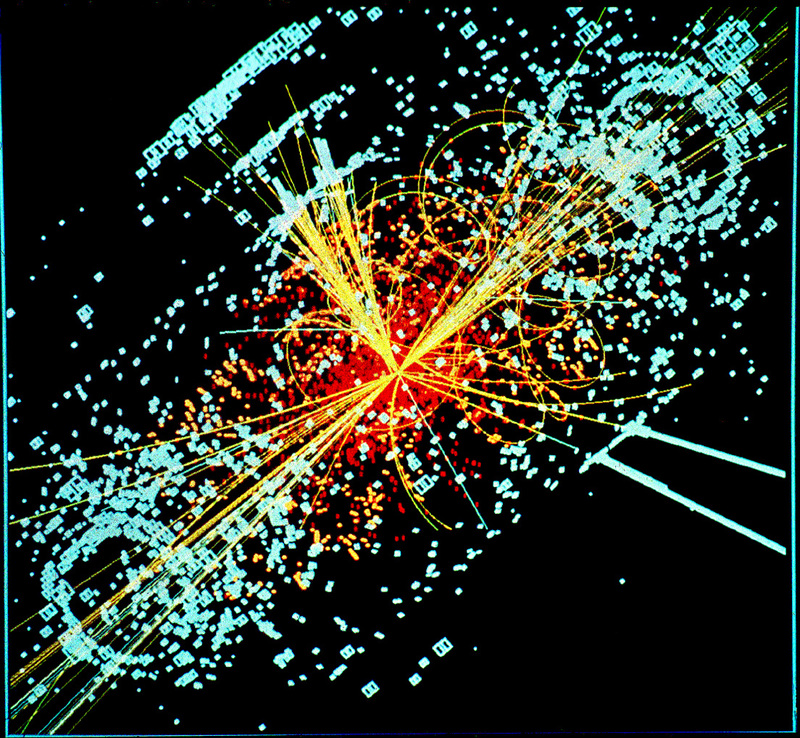 For theoretical physics, for example, we know that a theory of everything is supposed to unify quantum effects with relativity. How would we know if a proposed unified theory of behavior finance is the right one if we can't describe the problem in the first place. Human behavior evolved on a tribal scale. The basic model of exchange of goods and services within tribes and between tribes is best understood. Behavior of individuals has some effect but it is always in the context of the social group. The individual is an inappropriate level to model human economic behavior. The advent of agriculture only 10,000 years ago changed the scale of economics by adding an empire level atop the tribal level. Behavior at this level is not biologically evolved but culturally evolved. There are multiple cultural solutions to problems and cultures are flexible and faster at adaptation. Trying to understand behaviors at this level is more problematic because it often depends of the whims of elites. We did not get empires until 5,000 years after the invention of agriculture. It was the appearance of the Bronze Age that was associated with the rise of the great agro-hydraulic civilizations in monsoon regions on great river systems such as the Tigris-Eurphrates, the Nile, the Indus, and the Hwang Ho that allowed for the appearance of cities dependent on long distance trade with many people not directly involved in agriculture, cities with temples, palaces, and granaries, with the palaces holding go-king-emperors who oversaw the great infrastructures systems of dams and irrigation canals that lay at the base of these systems, from which since we have had continuously recorded history. Agriculture spawned the first social units that were larger than tribal units. As you point out, it took over 5000 years for units to increase to the size of what we would call a modern empire. Before 10,000 years ago, there were no units larger than a tribe. The number and size of the units began to increase from about 10,000 years ago. My point is that humans evolved for a social structure much smaller than our modern cities. Biological evolution and behavior evolution have had insufficient time to catch up. Much of the basic human behavior is best understood at the tribal level with a coating of cultural knowledge on top. Economics is far more than the sum of individual behaviors. Individual behavior is influenced by the dynamics of the social groups and further altered by cultural norms. This may involve what I call, for lack of a better term, a second level self-referential problem. 1st order - the classic 'All Cretans are Liars', and the 2nd order, bet on the winner of the beauty contest, not by who is most beautiful, but who the judges will vote is most beautiful. Any behavioral economics that makes investment or other predictions will be used by other players to gain an advantage. They will do so by guessing how other players will use the system. Behavioral economics would be useful, but a general theory would have to incorporate how other players would use the theory. Hence the conundrum. What if or arrogance precludes us from grasping that behavior simply cannot be modeled? For example, imagine a child who is programmed by parents and culture to hold racist views. The child moves away, becomes educated and enlightened, and rejects the earlier programming. Yet, under stress, does that programming ever really go away completely? Or will there always be internal conflict which, in turn, drives behavior unpredictably? We are a species full of internal conflicts and inconsistency. How can any of this possibly be modeled? Evolutionary psychology, neurology... give it time and we will find better micro foundations than the mere rational man. By the way, why is it so important so have a unifiyng theory in economics? We don't need to fix everything at the same moment, just one problem a time. I think behavioral finance has done its job (unmasking the ideology of financial markets superpower efficiency), but there's much to do about BE in other areas. By the way, I would very much appreciate some feedback on this idea: "the EMH as it is interpreted today faces a conflict to refute simultaneously two of the most relevant concepts in the behaviorist literature: the excess volatility (Shiller 1981) and the limits of arbitrage (Shleifer and Vishny 1997)." On the matter of behavioral fin I shall spout some stuff that I have heard from high level quants with power that is not published and will only get published once indeed it has stopped being used, indeed this has to some extent already happened and I think there have been some articles on this in the pop press here and there. So, one thing is the idea that many investment funds look at three time horizons. One is the high frequency one, within a day, with the relevant time scales far shorter than that, even down to nanoseconds. This is the world of econophysics, algorithms with essentially no theory but that have been found to work on bid-ask-spread-volume relations and other such things. The next is the intermediate time horizon, which might extend up to a year or even somewhat longer, but may be at its most important at about six months or so. This is the real focus for behavioral finance in the sense of focusing on anomalies. They dominate at this time horizon. In the long run, when we are all dead, it is neoclassical city a la Fame, EMH, random walk, la de da. A sideshow on this is how funds do behavioral anomalies. So, those that do this will in effect have a trading algorithm at any particular time that is a weighted combination of behavioral anomalies that have been found by the people/computers in the firm, with the weights being a combination of how recently the anomaly was found, with that decreasing as time passes, and how strong the anomaly appears. So, the algorithm is constantly changing as new anomalies are found and then gradually decline in importance for the algorithm until they disappear from it. My understanding is that in recent years there has been essentially a massive war of data crunching by firms competing to find the latest usable anomalies to stuff into their behavioral algrorithms. I stand to be corrected if this has now completely disappeared, as this is not the most recent information, although not exactly ancient and indeed from very knowledgeable and credible sources who will remain anonymous, although some of them are people many reading this would have heard of. I heard the same b***t years ago from "high level quants" that where arguing that their more sophisticated valuation models for derivatives enabled them to arbitrage the market, whereas it was in fact a way to take big carry positions while keeping risk indicators low (and reap big bonuses while the music played…). The long run is not the domain of neoclassical economics. Believing in that crap will lose you money over the 5-year time horizon, let along the actual long run. The long run is the domain of technological prediction and social prediction. Figure out what technologies are going to take over, figure out who's competent at making and marketing them, that's one of the two bases of long run investing. There's also "figure out who's going to set up a monoopoly", which I think is probably even more effective. Charles is also correct on one point. HFT is front-running. It's illegal but nobody's enforcing the law. Oh, and the medium run? The medium run is all about exploiting other people's ignorance. In a sense, so is the long run, but it's different ignorance. Medium-run ignorance is people who haven't looked up the internal stats for company X, long-run ignorance is people who haven't researched peak oil. What always amuses me, as someone trained in experimental economics, is how other economists make assertions about the results of experimental economics which try to explain these results away. They often fail to realise that these assertions: a) are testable and b) usually have already been tested. Everyone here seems to love QRE. At first glance, one can see why- it seems to account for everything. Unfortunately this is because, at least in iits original form, it has no testable implications. It is possibly to show using Agent Based Models (ABM) that choosing randomly (preference for variety) is the rational choice. You could probably do the same using some classic old school mathematics. The reasons are the person has preference for variety or the persons optimal choice depends on the choices of other persons. The El Farol bar problem is probably the most known example of this. Noah, I am not sure that what you are looking is a unified theory. It seems to me that you are thinking of aggregation: a utility function that can summarize the behavior of heterogeneous individuals with different cognitive biases. But perhaps the message of behavioral economics is that this is not kosher, and that instead we should rely on agent-based models in which individuals are satisficing (rather than optimizing). I believe this was Herbert Simon's view. The role of behavioral economics is then to help us endogenize the individual aspiration levels. Before this post completely expires, it's already about 70 in blog years, I just want to add my big point -- It's more just pure huge ignorance and inexpertise in a supercomplicated world than fancy evolutionary behavioral theories, but ignorance and inexpertise are rarely ever offered as big explanations or factors because they aren't fancy enough. You can't embarrass yourself, and guarantee no pub, offering an explanation that's not intellectual sounding, relating to the evolutionary and psychology theories of Harvard and Princeton professors. Just to say hey, hello? hello? survey after survey, massive ignorance and inexpertise, anybody there? You guarantee no pubs, no tenure, hello Southwest Montana State! Right. Good post. But by implication for macro, in aggregate, behavioral effects have no impact so long as they are unbiased. And even if they are biased, I can account for this in a systematic way. I think if you want a GUT this is it. I think there may be improvements based on information transfer through networks and how people learn. I think in reality most people just look at what other people do and copy it because they don't have the intellectual resources to devote to most of their decisions. This is why branding works. But overall I think it is likely gilding the lily if all you want is a simple universal model of utility.